Whether you print a magazine monthly, bi-monthly, quarterly or annually, we can help. PrintHouse(45) specializes in high quality commercial magazine printing. 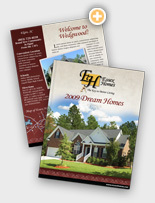 We offer affordable magazine printing services from custom printing to mailing services. Whether you need 1,000 or 100,000 magazines, your project is in good hands. The internet is here... but people still like to get their hands on a good ’ol magazine.